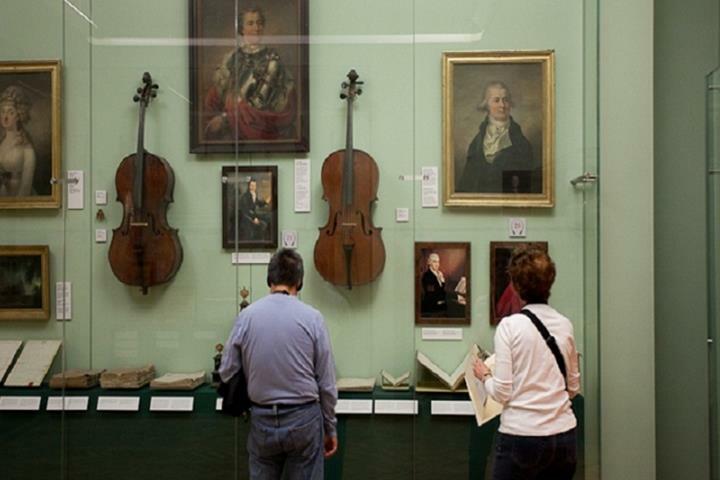 A perfect midday chamber classical concert. Professional musicians, including members of the Czech Philharmonic Orchestra, play a selection of the world's most celebrated pieces of classical music. Listen to a trio (flute, viola and piano) in the intimate environment of Baroque concert hall that has been designed nearly 300 years ago specially for chamber music concerts. 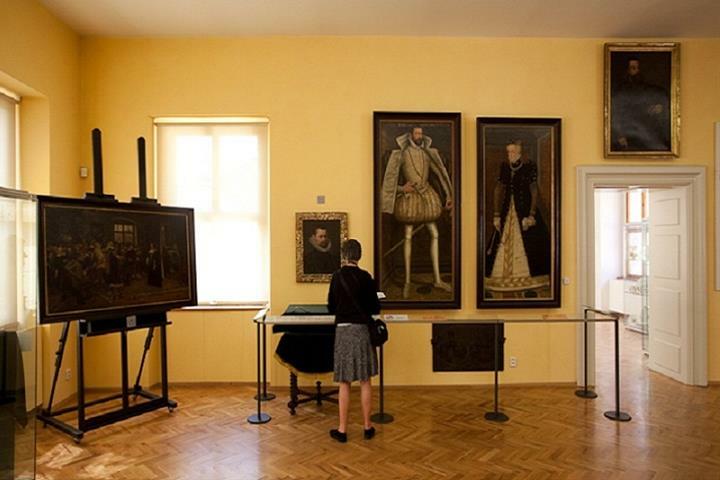 1 hour classical concert in Concert Hall + admission to Lobkowicz Palace Museum (featuring world-famous paintings by Brueghel, Canaletto, Cranach, Rubens, Mozart´s and Beethoven´s manuscripts and more) with audio guide in 8 languages + 10% discount in Lobkowicz Café. 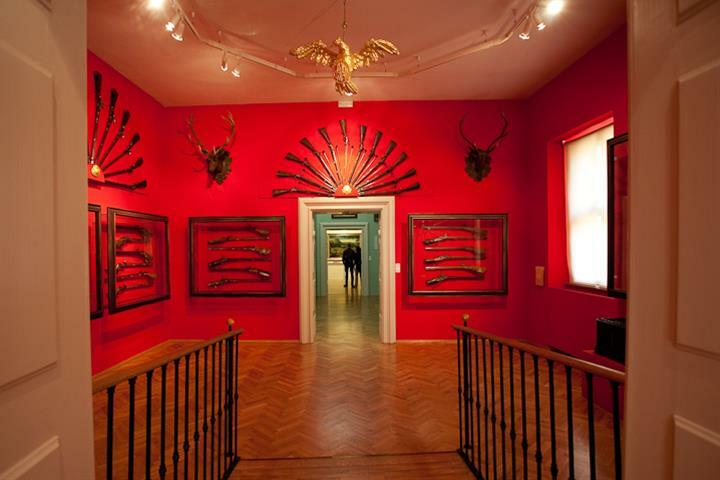 The museum is open from 10 AM to 6 PM. The concert hall is open 15 minutes before. 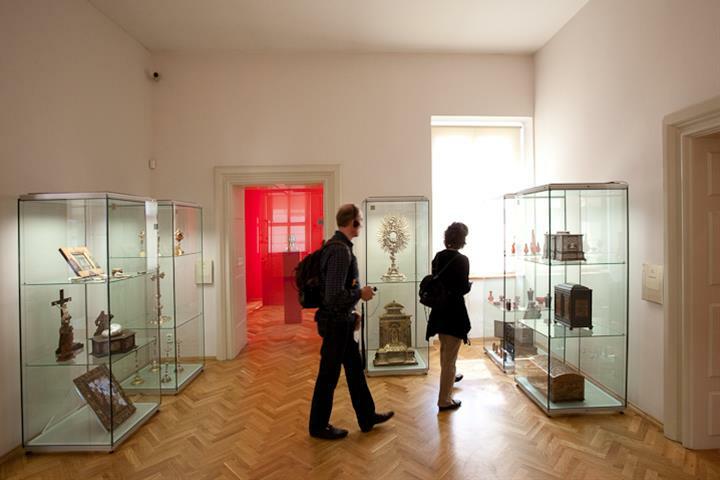 Why not exploring Prague Castle? Taking a walk from the Old Town to Lobkowicz Palace is an unforgettable experience, offering breathtaking views of Prague. 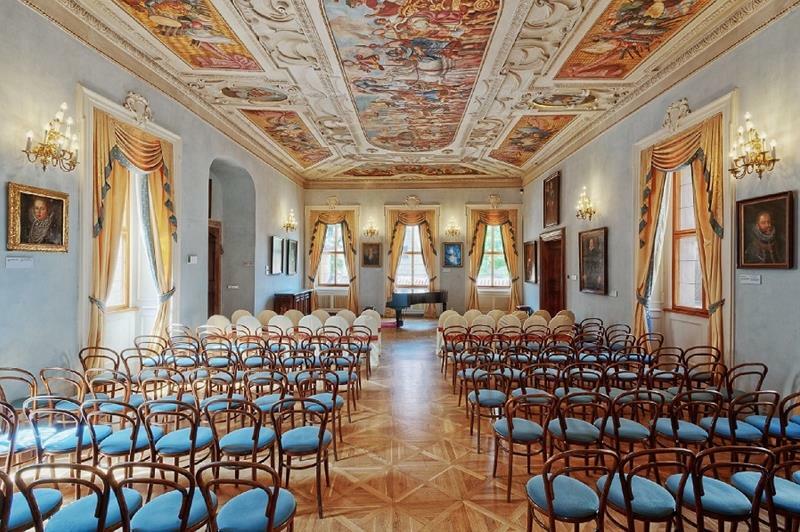 With its marvellous atmosphere Lobkowicz Palace is a great opportunity to take a break and integrate a midday classic concert into your Prague Castle visit. 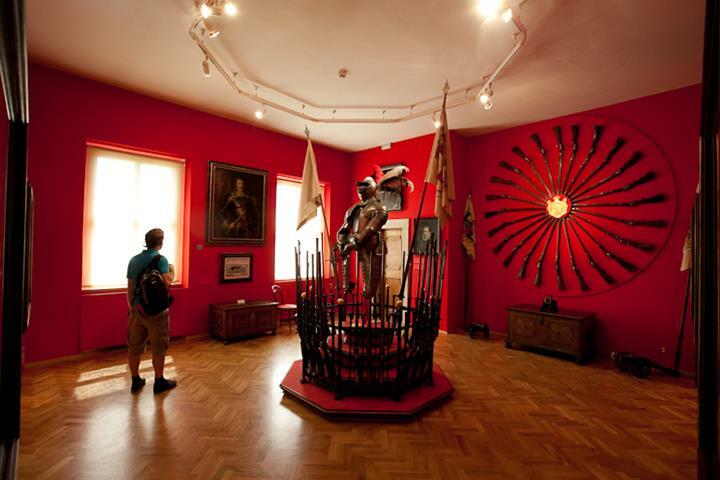 The Lobkowicz Palace (built in mid-16th century) became a property of the Lobkowicz family - one of the oldest noble families in Bohemia. 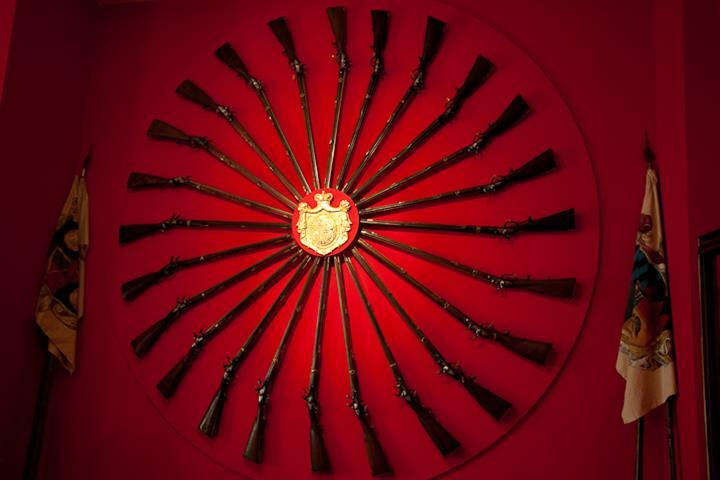 In 18th century the palace was magnificently adapted in the Baroque style by architect Carlo Lurago. Nowadays the palace holds one of the finest private art collections in Europe, including paintings by Canaletto, Breughel, original scores with notes by Mozart and Beethoven (Josef František Maxmilián, 7th Prince Lobkowicz, was a patron of Ludwig van Beethoven, who dedicated to him, as a thank you for a lifetime support, inter alia his 3rd "Eroica", 5 and 6 "Pastoral" Symphony), historical musical instruments and many other rarities! 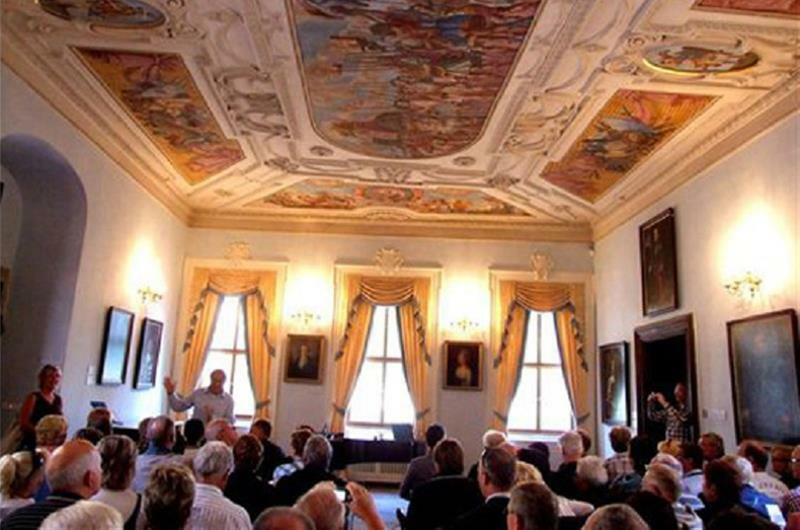 Popular chamber classical music concerts are performed in the original musical salon of the palace. 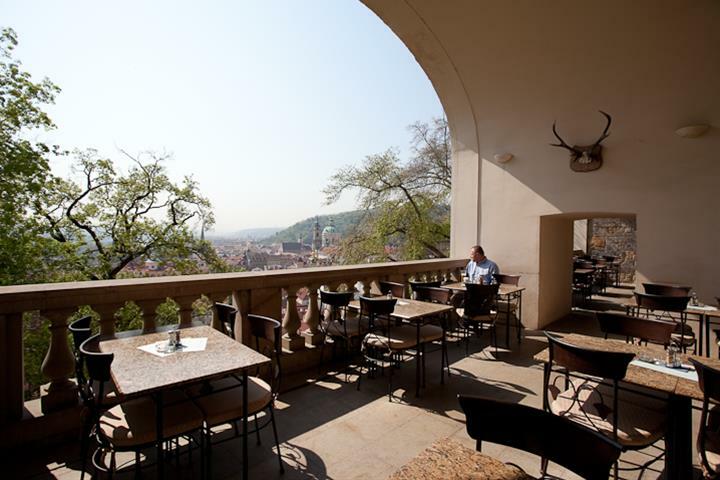 You may also visit Lobkowicz Café and Restaurant with panoramatic views of Prague on the ground floor. We recommend to arrive 40 minutes before the concert because of the security check at the entrance to the Prague Castle area! from Malostranská tram stop walk up the narrow staircase to the Prague castle through the back entrance, the first 2 doors on the left. Vase koncerty nemaji chybu az na vyjimku, je z meho pohledu dnes neprijemne pozadovat od zakaznika vytisteni vstupenky. Dekuji za Vase akce i moznost zpetne vazby. 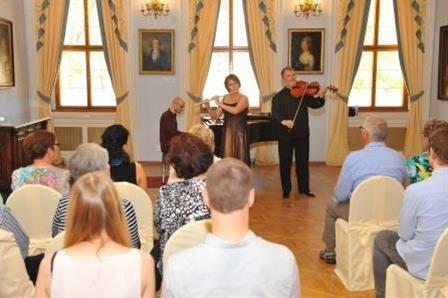 It was my first visit to Prague and one of the highlights of my trip was the Heart of Pearls lunchtime concert at the Lubkowicz Palace. The performance was varied with a lovely choice of well known and lesser known pieces beautifully played by the pianist, flautist and violinist. I had lunch in the cafe, spent some time shopping in the souvenir shop before the concert. I also spent an hour in the museum. The information displayed is clear and very informative. I would highly recommend this beautiful event as part of a cultural trip to Prague. Bon choix de morceaux, bon musiciens. This was a fantastic concert. Very talented pianist and flutist. Thoroughly enjoyed and would go again. My advise would be to book the Gold seats .... they are only a little more expensive and the seats more comfortable. Ambiance de la salle très agréable . Solistes très bonne prestation. Durée et heure du concert parfait. Je le recommanderai. Petit bémol :l'accompagnement violon pour le Carmen de Bizet nuit à la partition de flûte. This was a beautiful concert. The musicians were fantastic. I particularly enjoyed the pianist. The hall and surroundings are magnificent. It was a long walk through Prague Castle grounds and we had to ask the way, but the concert was fine and we enjoyed it. The pianist was particularly good. 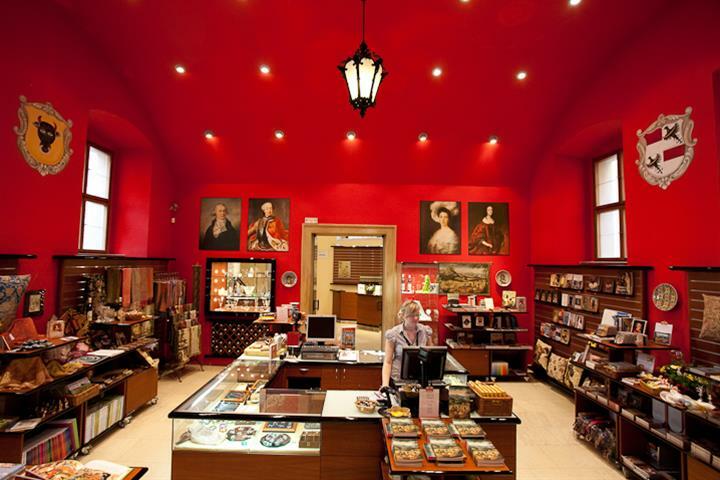 We afterwards had lunch -10% discount and bought a present in the gift shop 40czk off. We purchased the combo ticket and thoroughly enjoyed touring the museum. An added bonus was the 10% discount in the café where we enjoyed a most pleasing, and affordable, lunch. The musical performance featured flute, viola and piano. The repertoire was challenging, especially when performed by only three musicians. The flautist was good but the length of some of her numbers tested her ability. The pianist was talented and played with enthusiasm, although sometimes with a heavier hand than I thought was necessary. Prague has been in the midst of a heat wave. The concert hall is within the palace and quite lovely. Some windows were opened but it would have been preferable to open additional windows to create a cross flow. 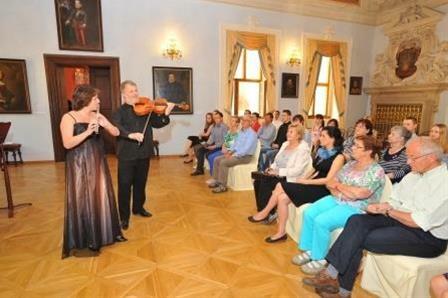 We enjoyed our concert for its simplicity and the lovely palace setting. Excellent musicianship in a gorgeous setting. Highly recommended! As a first timer to such an event, I chose rightly. The performance was mixed, varied and amply just for me to digest. Many thanks! My friends (6 of us in total) thoroughly enjoyed the one hour performance. We were all so relaxed that we practically melted into the chairs! Perfect setting with wonderful music. The blue chairs were a little uncomfortable for one of my friends who has a slight physical disability. There were comfortable chairs in the room but our tickets said we had to sit in the blue chairs. The only other thing i would say is the performers never introduced themselves. It would have been nice if they had said a few words before entertaining us with their extraordinary talent. I would definitely recommend this a must see when visiting beautiful Praque. A wonderful performance in a fantastic setting. 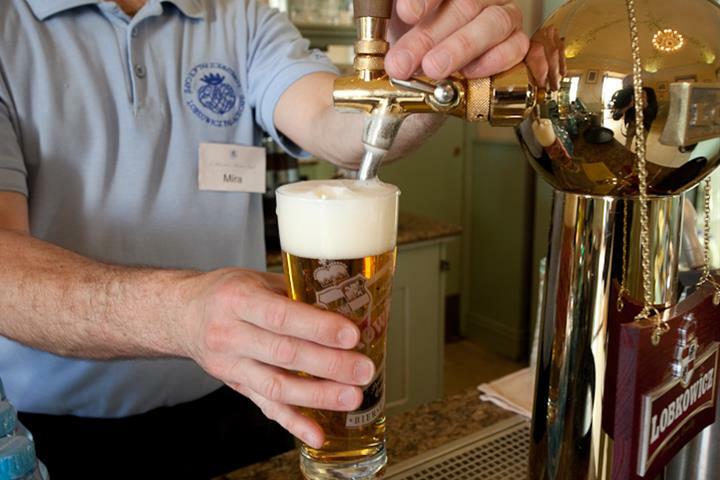 It was one of the highlights of my trip to Europe. 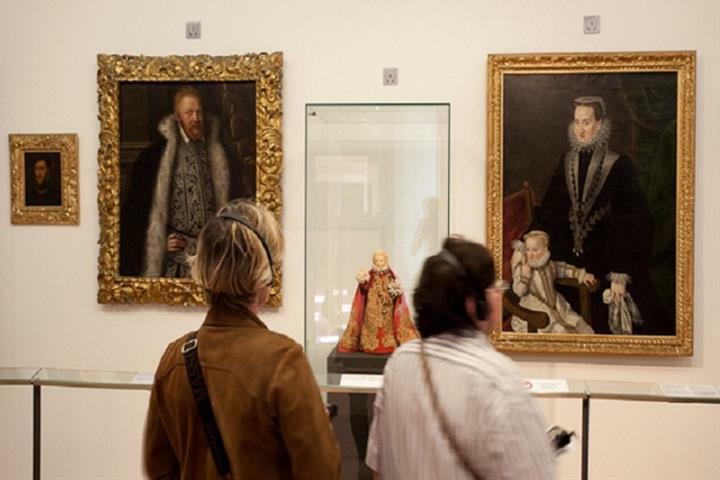 The combination of the museum visit and the recital was excellent. We thoroughly enjoyed our concert. The music was beautiful played by extremely talented musicians. It was breathtaking....thank you. Die Auswahl und Abfolge der dargebotenen Stücke war stimmig. Die Künstler waren gut aufeinander eingespielt und die Darbietung ein Genuß! Im Gegensatz zu einem anderen in Prag besuchten Konzert komme ich hier sehr gerne wieder hin! An excellent selection of short pieces that were well played. The concert was the only one we could find during the daytime which was most suitable for us.